First, Ms. DeVos is too nice a person to be President Trump's Secretary of Education. No matter what you think of her politics or her education philosophy Betsy DeVos is not a toxic person. She did not deserve to be shut out of a public school, as District of Columbia protesters tried to do shortly after she took office. And she did not deserve to have students boo her and turn their backs on her when she spoke at a college graduation exercise this spring. If I were her, I would tell the whole wide world to stick the Secretary of Education's position where the sun doesn't shine and go home to Michigan and spend time with my grandchildren. Second. Betsy DeVos knows next to nothing about higher education policy. The federal student loan program is in meltdown, destroying the lives of millions of people and undermining the integrity of higher education. Numerous small private liberal arts colleges are on the verge of closing; law schools are admitting students of a lower and lower quality, and huge swaths of the for-profit college industry are defrauding their students--or, at the very least, they are gouging their customers. The federal student loan program bears a big share of the blame for this dismal state of affairs. Betsy DeVos knows next to nothing about the student loan crisis. She has shown no capacity to deal with this enormous problem, and she has already made a number of missteps. For example, she hired some empty suits from the for-profit sector to advise her--the wrong move, in my opinion. President Trump needs to gracefully accept DeVos' resignation, praise her extravagantly in a tweet message, and then appoint a junkyard dog to replace her. By junkyard dog, I don't mean a vicious person or an unethical person; I mean a tough person. The next Education Secretary needs to be tough enough to confront the for-profit college industry, tough enough to handle higher education's legions of lobbyists, and tough enough to get rid of the student loan guaranty agencies that have amassed billions of dollars in cash hounding distressed student loan debtors. The next Secretary of Education needs to be tough enough to tell the public the truth about the student loan crisis, which is this: Millions of people have taken out student loans they will never pay back. 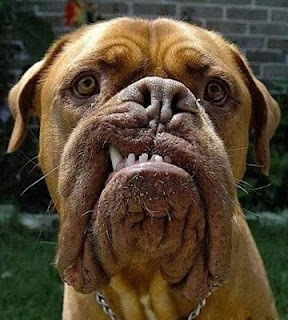 What a junkyard dog do if appointed Education Secretary? First, the Consumer Financial Protection Bureau's 2013 report, A Closer Look at the Trillion, needs to be updated. How many people have defaulted on their loans, and how many are delinquent? How many are not making payments because their loans are in deferment or forbearance? How many are in income-driven repayment plans (IDRs) and making monthly payments so low that their payments don't cover accruing interest? Second, the new Secretary should endorse the Democrats' bill to protect student loan defaulters from having their Social Security checks garnished. This is a small matter in terms of the overall student loan crisis, but symbolically, such a move would signal that the Trump administration is not completely heartless. Third, the Education Secretary should cancel the performance bonus program for DOE's student-loan bureaucrats. James Runcie, Chief Operating Officer for the student loan program, received $430,000 in bonuses--an outrage. The new Secretary of Education should fire everyone who got a performance bonus. Fourth, the DOE Secretary needs to streamline the process whereby students who file administrative claims based on the closed-school rule or the so-called borrower defense can have their claims resolved quickly. Fifth, DOE's junkyard dog should dismantle all the student loan guaranty agencies, starting with Educational Credit Management Corporation. While the termination process is taking place, DOE should stop paying the agencies' attorney fees to hound suffering student borrowers in the bankruptcy courts. Sixth, the Secretary of Education, as junkyard dog, should revise Lynn Mahaffie's 2015 letter outlining when DOE will not oppose bankruptcy discharge of student loans to clarify to the federal courts that DOE supports a bankruptcy discharge of student loans under the same terms that apply to other unsecured consumer debt. Obviously, any Secretary of Education who attempts to carry out the agenda I outlined will need to be tough as a junkyard dog. Betsy DeVos is not a junkyard dog, and I mean that as a compliment to her. The next Secretary of Education should be a junkyard dog. Lauren Camera. Protesters Disrupt DeVos School Visit. U.S. News & World Report, February 10, 2017. Rohit Chopra. A closer look at the trillion. 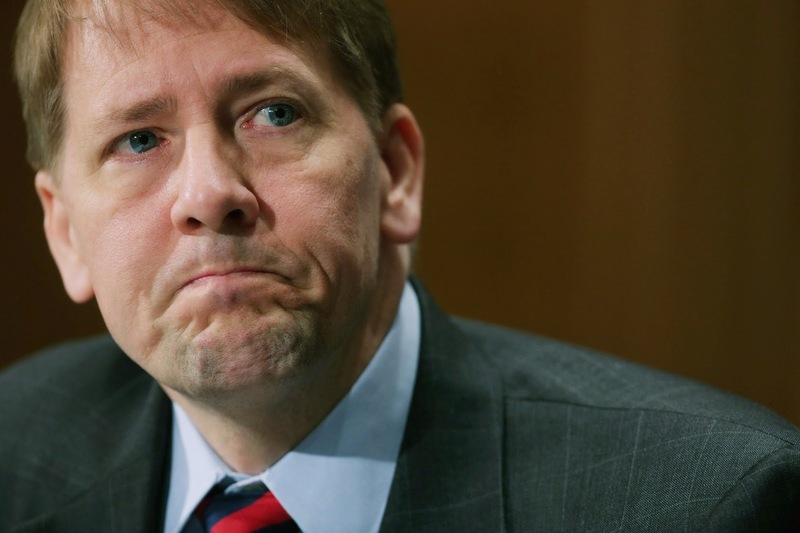 Consumer Financial Protection Bureau, August 5, 2013. Erica L. Green. Bethune-Cookman Graduates Greet Betsy DeVos With Turned Backs. New York Times, May 10, 2017. By the end of his first term in office, President Obama knew the federal student loan program was out of control. Default rates were up and millions of student borrowers had put their loans into forbearance or deferment because they were unable to make their monthly payments. Then in 2013, early in Obama's second term, The Consumer Financial Protection Bureau issued a comprehensive report titled A Closer Look at the Trillion that sketched out the magnitude of the crisis. What to do? President Obama chose to promote income-driven repayment plans (IDRs) to give borrowers short-term relief from oppressive monthly loan payments. Obama's Department of Education rolled out two generous income-driven repayment plans: the PAYE program, which was announced in 2012; and REPAYE, introduced in 2016. PAYE and REPAYE both require borrowers to make monthly payments equal to 10 percent of their adjusted gross income for 20 years: 240 payments in all. Borrowers who make regular payments but do not pay off their loans by the end of the repayment period will have their loans forgiven, but the cancelled debt is taxable to them as income. The higher education industry loves PAYE and REPAYE, and what's not to like? Neither plan requires colleges and universities to keep their costs in line or operate more efficiently. Students will continue borrowing more and more money to pay exorbitant tuition prices, but monthly payments will be manageable because they will be spread out over 20 years rather than ten. But most people enrolling in PAYE or REPAYE are signing their own financial death warrants. By shifting to long-term, income-driven repayment plans, they become indentured servants to the government, paying a percentage of their income for the majority of their working lives. And, as illustrated in an ongoing bankruptcy action, a lot of people who sign up for IDRs will be stone broke on the date they make their final payment. In Murray v. Educational Credit Management Corporation, a Kansas bankruptcy judge granted a partial discharge of student-loan debt to Alan and Catherine Murray. The Murrays borrowed $77,000 to get bachelor's and master's degrees, and paid back 70 percent of what they borrowed. Unfortunately, the Murrays were unable to make their monthly payments for a time, and they put their loans into deferment. Interest accrued over the years, and by the time they filed for bankruptcy, their student-loan indebtedness had grown to $311,000--four times what they borrowed. A bankruptcy judge concluded that the Murrays had handled their loans in good faith but would never pay back their enormous debt--debt which was growing at the rate of $2,000 a month due to accruing interest. Thus, the judge discharged the interest on their debt, requiring them only to pay back the original amount they borrowed. Educational Credit Management Corporation, the Murrays' student-loan creditor, argued unsuccessfully that the Murrays should be place in a 20- or 25-year income-driven repayment plan. The bankruptcy judge rejected ECMC's demand, pointing out that the Murrays would never pay back the amount they owed and would be faced with a huge tax bill 20 years from now when their loan balance would be forgiven. ECMC appealed, arguing that the bankruptcy judge erred when he took tax consequences into account when he granted the Murrays a partial discharge of their student loans. Tax consequences are speculative, ECMC insisted; and in event, the Murrays would almost certainly be insolvent at the end of the 20-year repayment term, and therefore they would not have to pay taxes on the forgiven loan balance. What an astonishing admission! ECMC basically conceded that the Murrays would be broke at the end of a 20-year repayment plan, when they would be in their late sixties. So if you are a struggling student-loan borrower who is considering an IDR, the Murray case is a cautionary tale. If you elect this option, you almost certainly will never pay off your student loans because your monthly payments won't cover accumulating interest. Thus at the end of your repayment period--20 or 25 years from now--one of two things will happen. Either you will be faced with a huge tax bill because the amount of your forgiven loan is considered income by the IRS; or--as ECMC disarmingly admitted in the Murray case--you will be broke. Murray v. Educational Credit Management Corporation, Case No. 14-22253, ADV. No. 15-6099, 2016 Bankr. LEXIS 4229 (Bankr. D. Kansas, December 8, 2016). I admit that I have been pleasantly surprised by the quality of the reports coming out of the Student Loan Ombudsman's office. 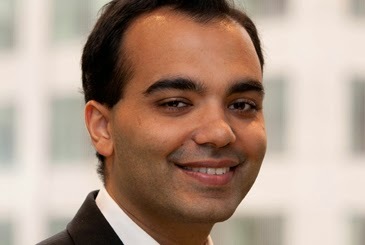 Rohit Chopra, the Student Loan Ombudsman for the Consumer Financial Protection Bureau, is doing good work. Mr. Chopra's reports on student loans are clear, concise, and helpful. Mr. Chopra's latest report, released this week, focuses on complaints against the private student loan industry. About 13.7 million people have outstanding balances on private student loans, which total well over $100 billion. Students who attend for-profit colleges are most likely to take out private student loans. In 2008, almost half of all undergraduate students who attended a for-profit college (46 percent) had at least one private student loan. Last year, the Consumer Financial Protection Bureau received 3,800 complaints against private student-loan lenders, which is a highly concentrated industry. Almost all the complaints were made against eight private lenders, including Wells Fargo, JP Morgan Chase, Citibank, and KeyBank. Almost half of the complaints were made against one lender--Sallie Mae. Borrowers had trouble paying off their loans early. They had difficulty getting an accurate payoff number. And when they attempted to pay their loans off early by making additional payments, these additional payments were often not properly credited to them. Late fees were charged even when borrowers paid their monthly payments on time. When borrowers ran into financial trouble and only made partial payments, these payments were credited to maximize the penalties against them. A few comments. First, some private student-loan lenders are getting out of the business, and that is a good thing. For Example, JP Morgan Chase, which once loaned billions of dollars a year to student borrowers, announced last month that it shutting down its private student-loan operation. Second, there is no valid reason why private student-loan borrowers should be having the problems that the CFPB reported. People with home mortgages have no difficulty paying off their loans early by making extra payments and they have no difficulty getting an early payoff amount. So why are student-loan borrowers having a problem? My guess is that the banking industry runs its student-loan operations to maximize profits and has no interest in helping their borrowers pay off their loans early. Third--and most importantly, the banking industry got its toadies in Congress to amend the Bankruptcy Code in 2005 to make private student loans as difficult to discharge in bankruptcy as federal student loans. Several respected commentators have recommended that this provision be repealed. If Congress would repeal its 2005 Bankruptcy Code provision and allow distressed student-loan borrowers to discharge their private student loans in bankruptcy like any other unsecured debt, the private student-loan industry would disappear almost immediately. The banks are in this business because it is very profitable, and their borrowers have almost no access to bankruptcy or to effective consumer protections. Students who attend for-profit colleges are most vulnerable to these voracious institutions. I say it is time to shut this pernicious industry down. Kimberly Hefling. 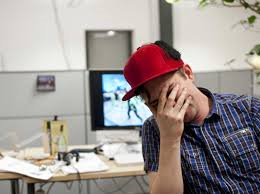 Lender problems target student loan complaints. The Baton Rouge) Advocate, October 17, 2013, p. 8A. Earlier this month, Rohit Chopra, the Student Loan Ombudsman for the Consumer Financial Protection Bureau (CFPA), issued a very useful report that moves us closer to figuring out what the real student-loan default rate is. As I have tirelessly (some would say tiresomely) pointed out, the Department of Education's three-year default rate--13.4 percent--only measures the number of people who default on their federal student loans within three years after their repayment obligations begin. Many people default after the three-window that DOE measures, and these people are not counted in the default rate. Moreover, millions of people aren't making payments on their student loans because they received deferments or forbearances that temporarily relieve them of their obligation to make loan payments. These people aren't counted in the official default rate either. Without question, many of these people won't pay back their loans, due in part to the fact that their loan balances are getting bigger because interest on these loans continues to accrue while the loans are in deferred or forbearance status. The recent CFPB report tells us how many million people have loans in forbearance or deferred status, and this information gives us a clearer picture of the student loan crisis. First of all, CFPB reported that 50 million people have federal student loans with outstanding balances. That's right--50 million! CFPB also reported that 6.5 million people have loans in default--about 13 percent of those 50 million debtors. That figure roughly correlates with DOE's official three-year default rate of 13.4 percent. But CFPB also reports that 3.4 million people have obtained forbearances on their loans and about 5.3 million people have obtained deferments. In other words, 8.9 million people have been temporarily excused from making payments on their student loans. When we add the number of people in default to the number of people who aren't making payments due to deferments or forbearances, we have a total of 15.4 million people who are not making loan payments--30 percent of the people who have outstanding student loans. Of course some of the people who obtained deferments or forbearances will eventually start making their payments and will ultimately pay off their loans. But I believe--and who can disagree--that most of those 8.9 million people who have temporary exemptions from making their loan payments will never pay off their loans. Why do I believe that? First, as I just stated, most people with deferments or forbearances are seeing their loan balances grow because interest is accruing during the time they are not making loan payments. The longer these people wait to begin making loan payments, the harder it will be for them to ever pay off their loans. Second, as Senator Tom Harkin's report on for-profit colleges documented, a lot of for-profit institutions are actively urging many of their former students to apply for economic hardship deferments in order to keep their institutional default rates down. If it were not for these college's "default management" activities, many more students who borrowed money to attend for-profit colleges would be formally categorized as defaulters. CFPB has performed a useful service by reporting the number of people who are not making payments on their loans due to deferments or forbearances. It should now be clear to everyone that the percentage of people who will ultimately default on their student loans is at least double DOE's official default rate. The true default rate must be at least 25 percent--and for students who attended for-profit institutions, the default rate is probably closer to 50 percent. This state of affairs cannot go on forever. Our economy simply cannot afford to operate a huge federal program that ruins the lives of a quarter of the people who participate. It was meant to be that way. Though I don't know why. 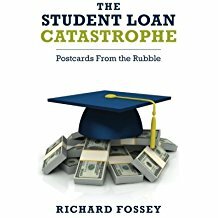 According to Rohit Chopra, the Student Loan Ombudsman for the Consumer Financial Protection Bureau, total student-loan indebtedness under the Federal Student Loan Program grew by 20 percent in just 18 months! Total indebtedness now tops out at $ 1.01 trillion. In addition, total student-loan indebtedness to private lenders is $165 billion. So--total student-loan debt now approaches $1.2 trillion. By the way, how would you like to have Rohit Chopra's job--Student Loan Ombudsman for the Consumer Financial Protection Bureau? It must be something like a medic's position in a World War II concentration camp--handing out aspirins to inmates slated for oblivion. Turn out the lights. The party's over. I'm a realist. I know the federal student loan program cannot be dismantled. The American higher education community absolutely depends on it, and most for-profit colleges could not exist without it. The for-profit colleges have powerful lobbyists, and we will never get the for-profit colleges out of the feeding trough. Nevertheless, let's at least try to impose some level of decency on this train wreck of public policy. First of all, let's treat the wounded. Let's stop garnishing the Social Security checks of elderly student-loan debtors who defaulted on their loans. Let's give student-loan debtors reasonable access to the bankruptcy courts. Let's make all student loans subject to state consumer-protection laws so injured students can sue college and universities who entice people to take out student loans through fraud or misrepresentation. Second, let's try to stop the growth rate in student-loan indebtedness by encouraging low-income students to attend community colleges that have low tuition rates instead of borrowing money to attend more prestigious institutions. Because you know what? If you are poor you shouldn't be borrowing money to attend Harvard; and besides you probably wouldn't like it anyway. Third, let's crack down on colleges and universities that raise their tuition every year because they can't control their costs. It is a scandal that university presidents like Ohio State University's Gordon Gee and New York University's John Sexton make more than $1 million dollars a year (far more actually) while college students across the country are borrowing more and more money every year to attend college. American college students are tapped out. According to Ombudsman Chopra's remarks, people with student-loan debt are now less likely than other people to have home mortgages or outstanding auto loans. Why? Because many people are now so burdened with college-loan debt that they can't participate in the consumer economy--they can't buy homes or purchase cars. For years now, colleges and universities have been singing a variation of Rock and Roll is Here to Stay; they think the student loan program was meant to be this way and will never die. 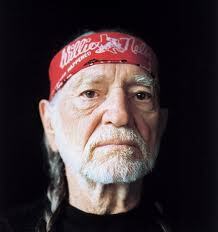 But if we don't reform this program soon, higher education will be singing a different tune, this one by Willie Nelson. "Turn out the lights. The party's over."